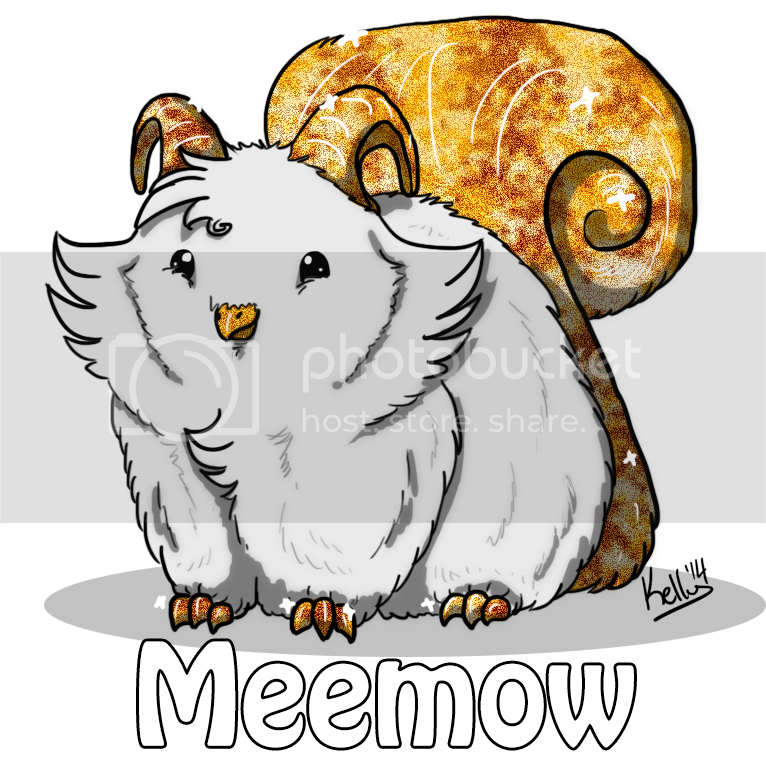 Meemow is this website's mascot, originally designed by the awesome Xaisen. This genderless little fluff ball loves belly rubs and salted almonds, and the sounds it makes are little meeps, meows, chirps, and purrs. 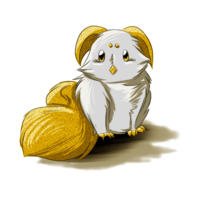 Its horns, beak, toes, and tail are all made out of pure gold, but since this is a fantasy website, reality has no say in how this little dude functions. The fur is the fluffiest thing you will ever touch but it doesn't shed so no worries of getting covered in hair. 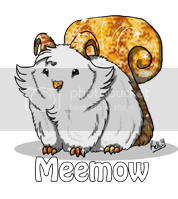 You can even cameo Meemow in your own stories! It can be someone's pet, a stray, just something passing by in the background, anything! There is only one Meemow, and its origin is clouded in mystery. It would be ridiculous to say that this little guy is the most powerful being in existence. 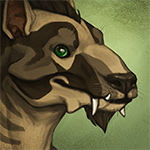 Meemow loves art and stories of itself, and shall give you lots of snuggles and nuzzles as a big thank you!